Growing up in the heart of the beautiful Sonoran Desert in Tucson, Arizona, there were few opportunities for J. Gregory Sherman to explore the ocean. As such, the world beneath the waves was not on his sonar until he got scuba certified for a 2008 tropical holiday. Those first breaths beneath the waves changed the course of his life. From that point onward he devoted his free time to becoming more proficient as a diver, learning about the marine environment, and encouraging others to experience wonders of the deep. Early on in his underwater journey he picked up a camera. With no formal training and very limited topside experience, his early underwater images were unimpressive. Through perseverance, trial and error, and rigorous self-critique his images gradually improved. Greg’s goal with the images he captures is to transport the viewer underwater and to impart the same sense of wonder and excitement that Greg feels when he sees the subject first hand. While photography gave Greg one channel to share the ocean with others, he wanted to do more. 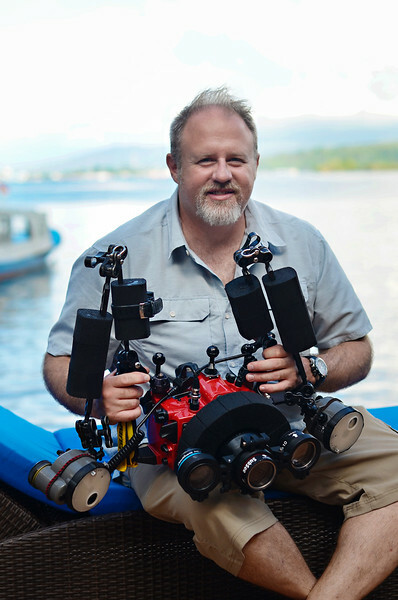 To that end, he teaches underwater photography, holds scuba instructor certifications from multiple agencies, and enjoys educating new divers on how to be good stewards of the ocean. Today, J. Gregory travels extensively worldwide in pursuit of beautiful images to capture and share.